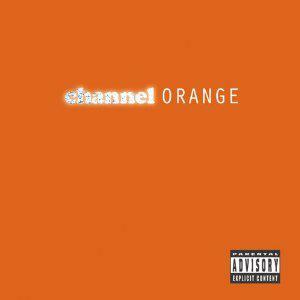 Frank Ocean – Channel Orange | NoCoda. The smooth talking crooner from Odd Future Wolf Gang Kill Them All brought us his official debut this year of a mixed, but ultimately satisfying bag of songs, entitled Channel Orange. Those expecting Nostalgia/Ultra Part 2 (my hand is up) were greeted not with beats the likes of Novacane or Songs 4 Women, but slow burners, empty club scenes, and bottles that are certainly at least halfway gone. Try as you may to ignore the hype around Ocean’s sexuality, he’s bleeding his heart out on half of these tracks (Thinkin Bout You, Bad Religion, Lost), and they demand your attention. While the ten minute Pyramids may be an easy indie kid standout, don’t overlook fellow OFWGKTA’s Earl Sweatshirt on his guest spot on Super Rich Kids, or the status obsessed losers in Sweet Life. “You’ve had a landscaper and a housekeeper since you were born – The sunshine always kept you warm. So why see the world, when you’ve got the beach?” Tell ‘em. There are no handouts here. You’ve got to earn it, and if by earning it you’ll enjoy sitting on your private beach all day, you’ve missed the point.